Poson Full Moon Poya Program and Dhamma class will be held on on Sunday, June 30 , 2013, from 7:30 am to 5:30 pm at the Georgia Buddhist Vihara. We invite you all to join the program. 11:20am – 12:00 Noon: Dana offering to the monks and those who observe eight precepts. The Daval Dana will be kindly provided by Mr. & Mrs. Weliwita (Uditha & Ruwani), in memory of Ruwani's Father, to the Ven. 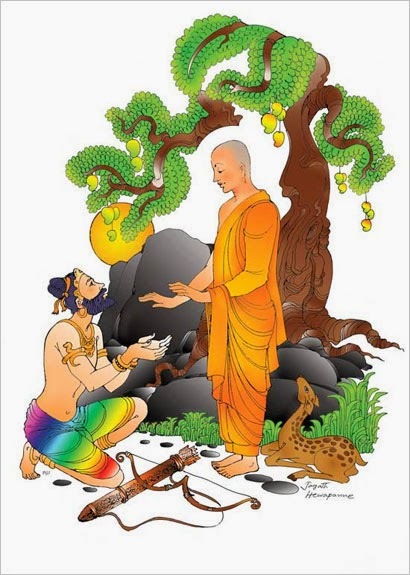 Maha Sangha & to all the people observing Sil on Poson poya day.